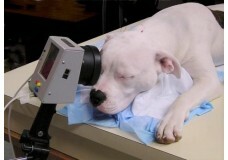 A Windows™ based complete ERG system that complies with modern Veterinary Protocol. Simple to use me.. The HMsERG is a portable handheld self-contained unit with a rechargeable battery pack. Incorporatin..